Robin Wright has opened up about her former House of Cards co-star Kevin Spacey, who was removed by Netflix from the narrative of the hit series following accusations of sexual misconduct on the set before the show’s upcoming final season. In an exclusive sitdown interview with the Today show’s Savannah Guthrie, the 52-year-old dished about her relationship with her former co-star. 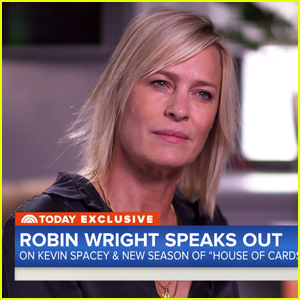 Robin Wright is opening up about her former House of Cards co-star Kevin Spacey, who was removed by Netflix from the narrative of the hit series following accusations of sexual misconduct on the set before the show’s upcoming final season. The actress opened up in an interview on Today, which airs on Monday (July 9). “Was there any kind of red flag, or anything that would have made you think this was possible?” asked Savannah Guthrie. “Kevin and I knew each other between action and cut, and in between setups where we would giggle. I didn’t really– I didn’t know the man. I knew the incredible craftsman that he is,” she explained. 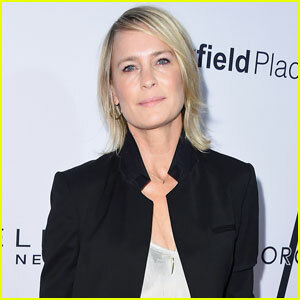 Robin Wright was reportedly the driving force behind bringing House of Cards back for a sixth season following Kevin Spacey‘s sexual misconduct scandal. According to her co-star Patricia Clarkson, Robin worked alongside the HOC showrunners to ensure the show wasn’t cancelled and those working on the series kept their jobs. “It was truly the great Robin Wright rallying. We have beautiful showrunners, Frank [Pugliese] and Melissa [James Gibson], and they killed themselves to rethink the whole show. It’s only eight episodes,” Patricia explained on The Talk. Production on House of Cards season six began earlier this year but does not yet have a premiere date. 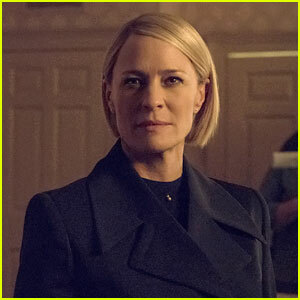 House of Cards will be returning for its sixth and final season later this year and Netflix just released a Fourth of July promo featuring series star Robin Wright. Robin‘s character Claire Underwood became the President of the United States at the end of season five when her husband Frank Underwood (Kevin Spacey) resigned. Spacey will not be returning for the sixth season after allegations of sexual misconduct surfaced in late October. 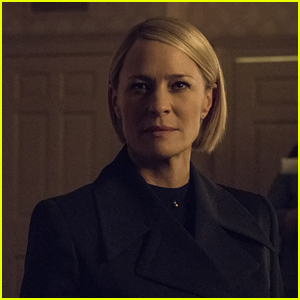 “Happy Independence Day…to me,” Claire Underwood says in the promo. Watch below! 'House Of Cards' Releases First Look at Sixth & Final Season - See the Pics! House Of Cards is coming back with its sixth and final season! 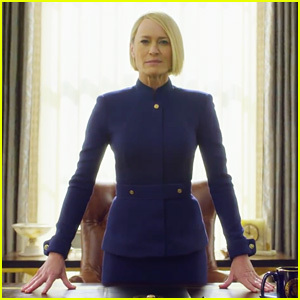 The hit Netflix series will return with Robin Wright as President of the United States in the upcoming season. Diane Lane, Greg Kinnear and Cody Fern, join Robin this season along with Michael Kelly, Jayne Atkinson, Patricia Clarkson, Constance Zimmer, Derek Cecil, Campbell Scott and Boris McGiver. Following a sexual misconduct accusations on the set, Kevin Spacey was ousted from the show before its final season. 'House of Cards' Debuts First Look at Final Season - Watch Now! Netflix debuted the first look at the final season of House of Cards during the 2018 Oscars! This is the first season without Kevin Spacey, who was removed from the show after multiple allegations of sexual misconduct came to light. Kevin played the role of Frank Underwood. Look out for the new season of House of Cards, hitting Netflix in the Fall.